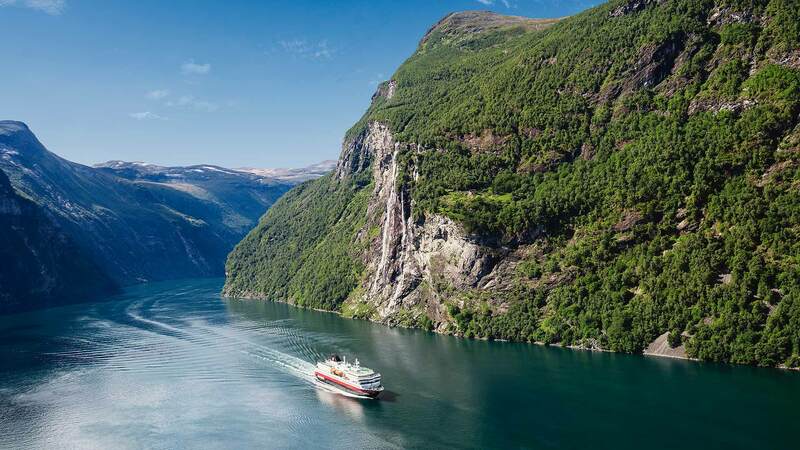 This 7-day trip, which begins and ends in Oslo, takes you on a scenic Hurtigruten coastal cruise from Trondheim, revealing majestic landscapes among the vast fjords. You will also experience the popular Norway in a Nutshell® train journey over the mountains to Oslo, an exciting ride on the scenic Flåm Railway, and explore historic cities like Oslo and Bergen. This Norway tour package is a self-guided trip that allows you to ride the rails, sail the fjords and enjoy Norwegian culture in its charming cities. 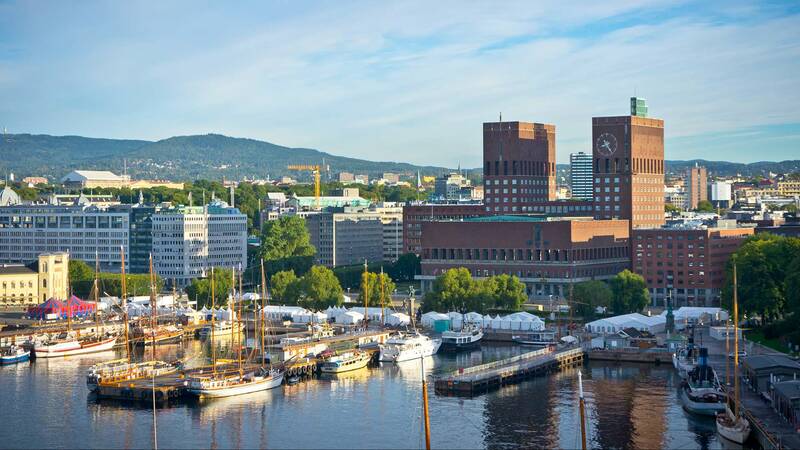 When you arrive at Oslo‘s Gardermoen Airport, make your way into Oslo‘s city centre. Many travellers opt to take the express train to Oslo Central Station, but we can arrange a private transfer for you (at additional cost). For those arriving early, we recommend exploring Oslo by foot, spending the afternoon at sights including the Royal Palace, Akershus fortress, Oslo City Hall, Oslo Opera House, and the Aker Brygge area. 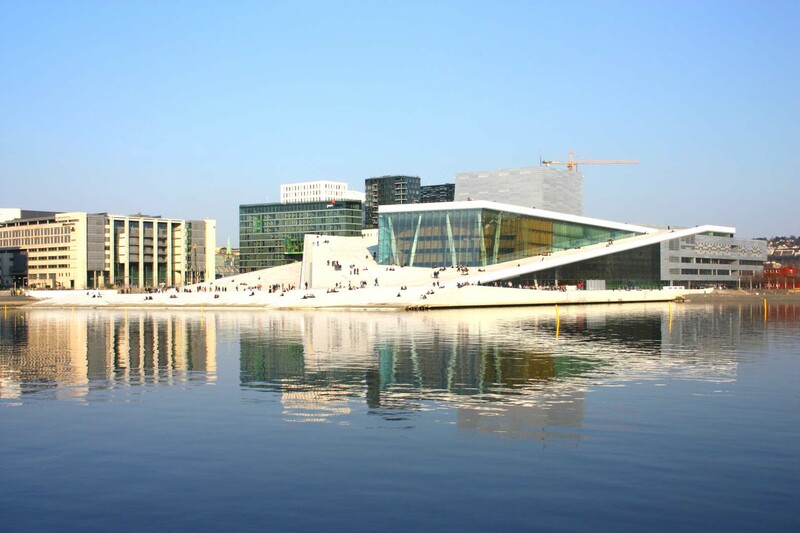 Other notable attractions include the beautiful Vigeland Sculpture Park, the Viking Ship Museum and Karl Johans street. This morning you will head out early to Oslo Central Station to board the half-day (6.5-hour) journey aboard the Dovrebanen train. The train route passes over the Dovre mountain plateau through historic towns and nature preservations and includes great variations in terrain and altitude. The journey concludes with a steep, curvy descent down to the lowlands where Trondheim is located. 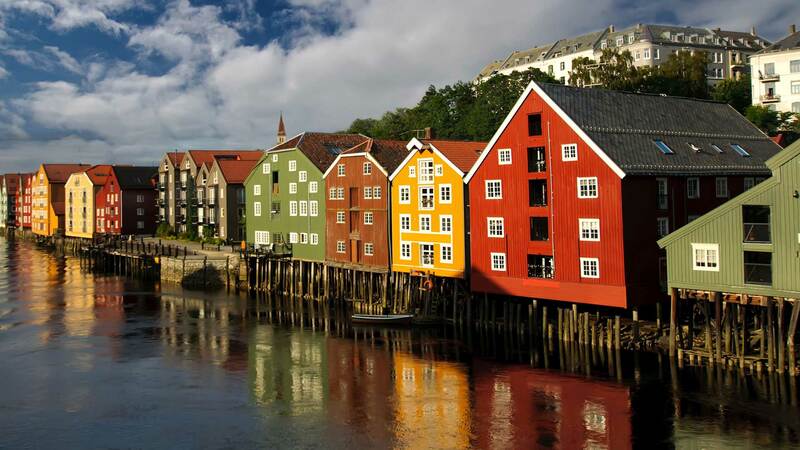 Spend the afternoon discovering Trondheim, including Bakklandet, an idyllic neighbourhood full of history and culture, Nidaros Catherdral, as well as other attractions such as the Ringve museum and gardens, Munkholmen and the Old town bridge. 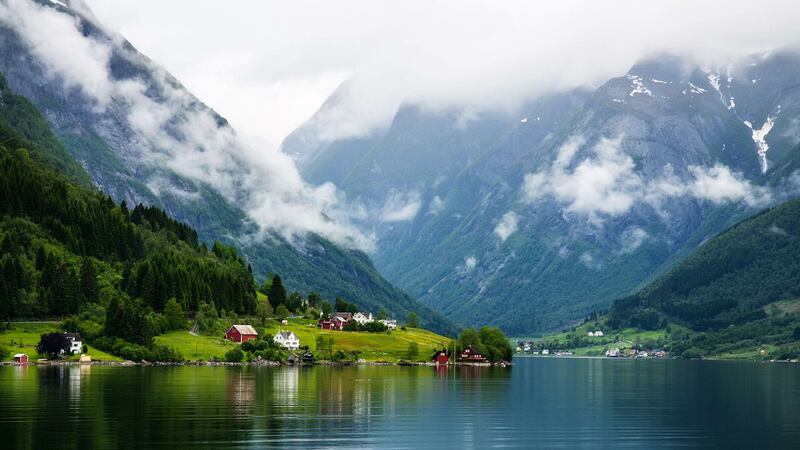 Today, you will embark on a cruise that will have you discovering the martitime beauty of Norway. You will head to the Trondheim harbour to board a Hurtigruten cruise ship for the Norwegian Coastal Voyage. It will then set sail along the Trondheim Fjord and past Hitra Island. In the late afternoon, the boat will dock at the city of Kristiansund and the town of Molde. This journey passes through some breathtaking coastal landscapes, and the final port of the day is a brief stop in Ålesund, after midnight. Today will be an especially scenic day with a lot of travel. From Bergen, the early Bergensbanen train transports you to Voss, where you’ll be transported by bus down Stalheimskleiva, Northern Europe’s steepest stretch of road. After a thrilling ride around 13 hairpin bends, you will continue to Gudvangen. 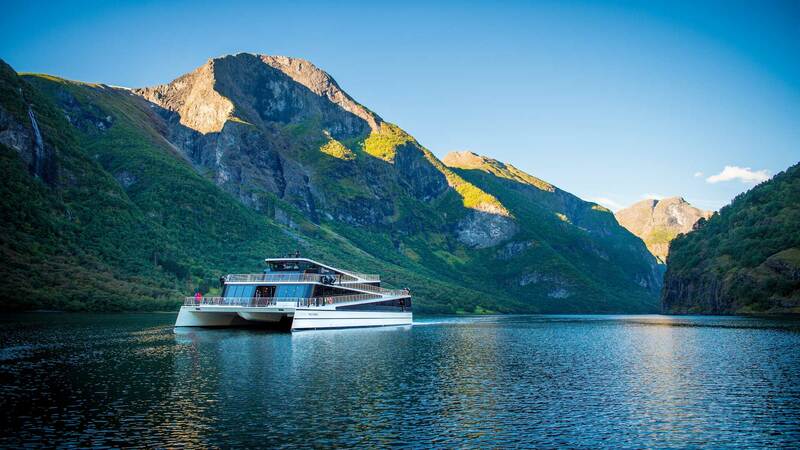 There, you will embark on a scenic 2-hour fjord cruise to Flåm, including a trip through Nærøyfjord, the narrowest fjord in all of Europe. This UNESCO World Heritage site is perhaps the most breathtaking part of Sognefjord, Norway’s longest and deepest fjord, with its mighty peaks, tumbling waterfalls, and small farms dotting the mountainsides. 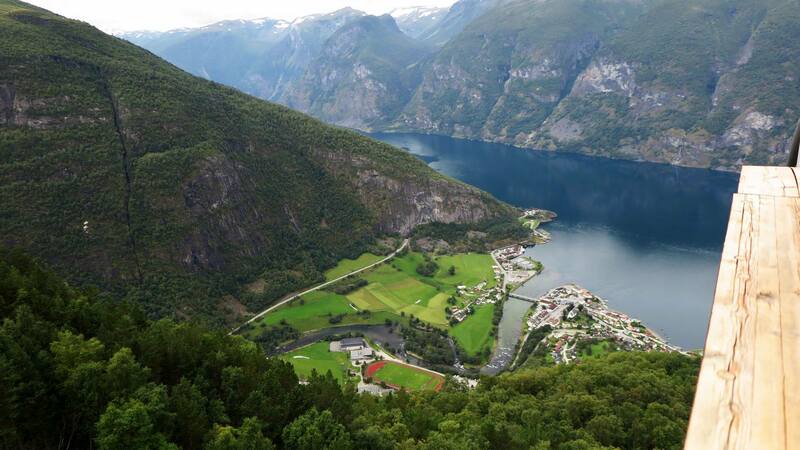 Finally, the boat sails up Aurlandsfjord to Flåm, a charming village, where you will spend the evening. Spend the early part of your day exploring the village of Flåm by following one of the many hiking trails in the mountains around the village. 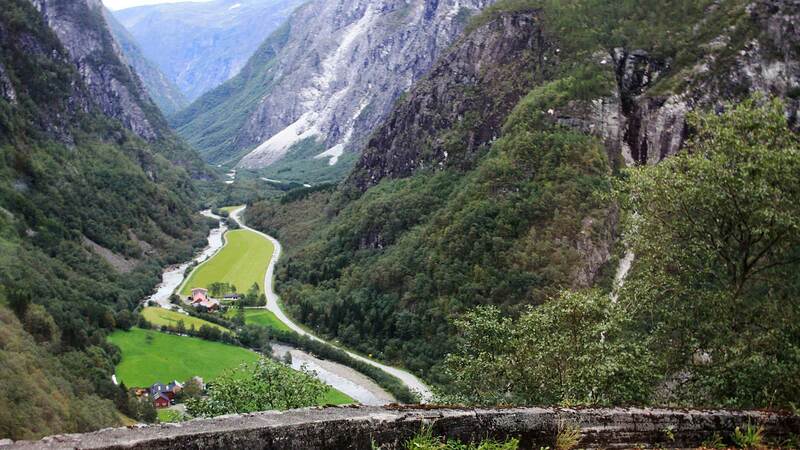 Later in the afternoon, you’ll get to experience the famous Flåm Railway firsthand as it climbs 900 metres over a span of 20 kilometres up the winding track to the Myrdal Station. Here you will switch to the Bergensbanen train that carries you over the mountainous rooftops of Norway. This ride, voted one of the best railways in the world, will take you through the charming villages of Geilo and Gol before concluding in Oslo, where you will spend your last night in this amazing country. For transportation to Oslo-Gardermoen Airport, you can take the Flytoget express train from Oslo Central Station or book a private transfer through Nordic Visitor that will deliver you to the airport directly from your hotel. If your flight is in the afternoon, take the opportunity to do some last-minute shopping, visit one of Oslo’s museums or just relax at a café after this amazing journey. We have used Nordic Visitor for trips to Iceland and Norway. I very much appreciate the work that they do to set it all up for us. I would be happy to use Nordic Visitor again! Every aspect of the trip worked out very smoothly. This was my first visit to Norway and I relied entirely on Nordic Visitor to help me figure out an itinerary and to book transport and hotels. I was very pleased with every aspect of the trip and I would be happy to use Nordic Visitor again! We wish to repeat our appreciation for all that Nordic Visitor did for us in ensuring that our tour was so relaxing and comfortable; and made for a wondrous experience in such a majestic country. I think Kolbrun did an outstanding job of listening to what we wanted, had suggestions of her own, made excellent reservations, and kept us informed about our reservations. It took us quite awhile to make a decision on whether and which tour to take, and she was always generous with her time and answered all questions within hours of being asked. There was not one glitch in the whole adventure. Couldn't be happier. We are in our 70's and probably won't get back to Norway, but we will tell anyone who is willing to listen that Nordic Visitor and Kolbrun are first class. As far as Norway itself goes, it has to be one of the most beautiful places on earth. And our tour hit some of the loveliest of Norway. When we first decided to use Nordic Visitor we thought the cost was a little steep. But having had the experience, it was worth every penny. Thanks for a fantastic experience. From the start, we upgraded from comfort to quality accommodations and were extremely satisfied with all our hotels, their wonderful breakfasts and their friendly service providers. I liked your flexibility in making modifications to existing tours, your willingness to reserve a car and your knowledge of local train and bus schedules. This is an independent, self-guided tour where all accommodation, train and cruise tickets (as specified in the itinerary) will be pre-booked by Nordic Visitor. However, all travellers are ultimately responsible for getting to hotels and to any train or cruise departure points by the specified times. The cruise includes cabin accommodation (unspecified cabin with windows/port holes) with private facilities, and breakfast is included. All ships have restaurants, a cafeteria, laundry room, WIFI and on-board activities. The Hurtigruten Coastal voyages are not like conventional cruises as there are 11 different ships that vary in size and age that sail the Norwegian coast on different dates. Optional shore excursions are available onboard, and we recommend that you pre-book them (can be done until 4 weeks prior to arrival, depending on availability). We are unable to offer guaranteed cabin numbers for port-to-port and short voyages (less than 5 nights). You can disembark the ship in ports where the stop is for more than 30 minutes. 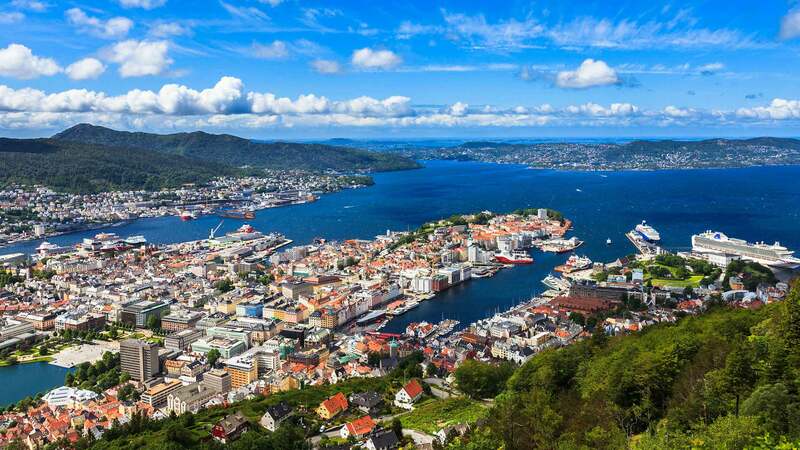 Included is the famous Norway in a nutshell tour, from Bergen to Oslo, where you will be travelling by train, bus and ferries between beautiful sceneries and charming villages. Transfer points and connections are easy to find and clearly marked or announced. 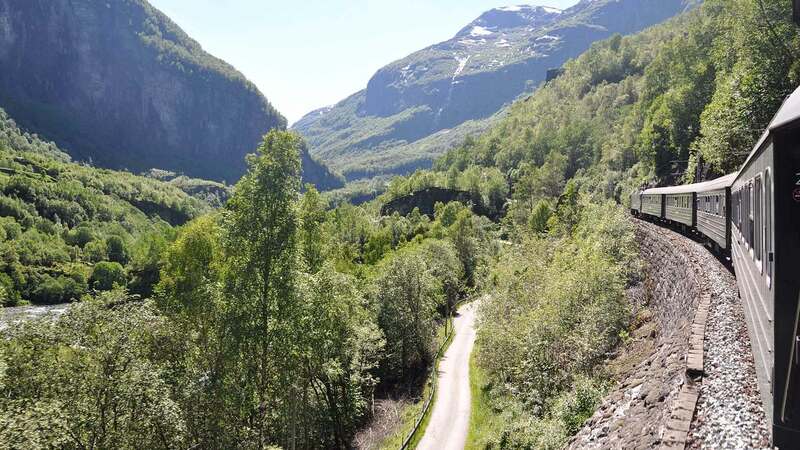 Along the way, you will see dramatic landscapes and quaint villages on the way to Gudvangen, where you will board a fjord cruise down the narrow Nærøyfjord and the grand Aurlandsfjord. Your cruise will end in the charming village of Flåm, where you will board the iconic Flåm Railway, transporting you to Oslo. There are places to store your luggage during each leg of your journey. Be aware that if you do not book luggage transfer in advance, you have to carry your luggage from train to bus to boat etc.